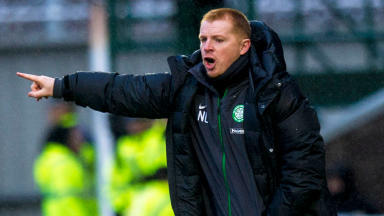 Jan Aage Fjortoft says Scottish champions would be signing one of Norway's top young talents. Celtic have joined the race for Norwegian midfielder Stefan Johansen, described as one of the country's top young talents. The 23-year-old currently plies his trade in his homeland with Stromsgodset and is valued around the £2m mark. The Tippeligaen club’s sporting director Jostein Flo confirmed the Scottish champions interest in the player but said no talks had yet taken place. 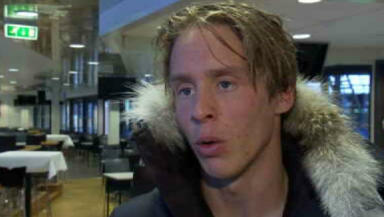 Johansen’s agent Tore Pedersen says a number of sides are monitoring the player’s progress. 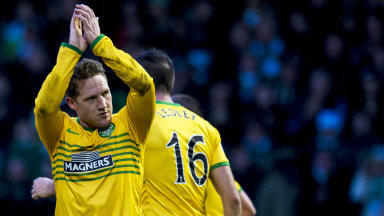 He told STV: ''There are several clubs from across Europe that have expressed an interest in Stefan. He has one year left on his contract, whether something will happen I can't really comment. Johansen has five caps for his country, scoring his first international goal against Sweden in Stockholm last year. Former Middlesbrough and Barnsley player turned TV pundit Jan Aage Fjortoft told STV the midfielder is one of the nation's brightest prospects. He said: "In Germany they talk about the number six, the number 10 and the number eight. He is a number eight. He is a little in-between. "He is, to use the cliché, a modern midfielder. "I think it is likely he will leave in this transfer window. The season in Norway goes in a calendar year, so he can stay here and see his contract out until 2014. "But I understand there is no chance he will extend his contract. So I think it is very likely he will move on in this transfer window." Fjortoft believes Johansen would benefit from a move abroad and isn't shocked by the amount of interest in the player. "It has been confirmed here by the head of sport at Stromgodset, Jostein Flo, that Celtic are one of the clubs in for him. But I also understand there are one or two others who are very much in for him. "It will be an exciting time for the player and for Norwegian football. We need our youth to go abroad and learn more and come back and play well for our national team."